The Navy League Cadet program for youth ages 9-12. The Sea Cadet program for youth ages 12-18.
a team environment dedicated to promoting the physical and mental fitness of young men and women in the cadet program, leadership, citizenship, self-discipline and respect for others. 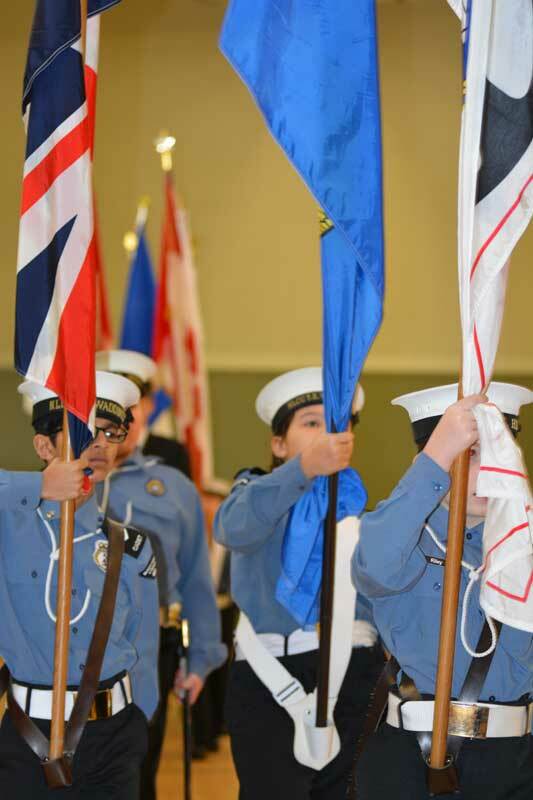 Currently there are eighteen Sea Cadet Corps and nine Navy League Corps located across Alberta. All corps meet weekly from September to June and offer many options & opportunities in addition to regular weekly parade nights. Options vary from corps to corps; some options are solely for Sea Cadets. Senior Sea Cadets have opportunities to earn money as Staff Cadets at various summer camps across Canada. Alberta Division is part of The Navy League of Canada.